Finally, Chiyaan Vikram’s Kadaram Kondan has got a release date. After juggling with the initial release plans, makers have finally locked in on a date – on May 31st. 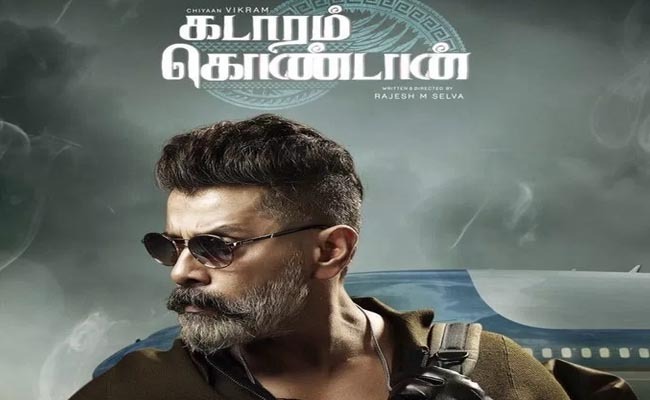 Under the direction of Rajesh M Selva, Kadaram Kondan has already generated much curiosity when the first looks of Chiyaan from the movie got released. However, the uncertainty regarding the release date pulled back the fans of Vikram from cheering much on the project. The project is a joint production venture between ‘Raajkamal Films International’ and ‘Trident Arts’. While Ghibran gives music to the project, Srinivas R Guptha handles the cinematographic department of this latest project from Chiyaan Vikram.